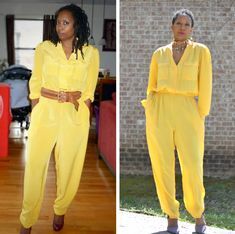 I am often asked how do I choose my thrifted pieces. 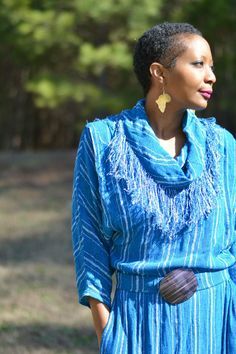 When I thrift, I am normally drawn into pieces that simply catch my eye such as bright colors, patterns, textures, etc. I don’t simply thrift for designer clothes, but I must tell you, knowing your designers is a huge plus when thrifting as you are able to quickly determine when you have scored an awesome find. Truth be told, a used Target t-shirt for $2–not such a deal, as you can get that same deal often in Target’s clearance section. However, a used Banana Republic cashmere sweater for $3— now that is a a steal! Learn how to spot quality fabrics and brands from a distance. I’ll be honest with you, I often do a lot of research (google) at the thrift store when I am unsure of a particular designer. I normally want to know what are the retail prices for the designers’ items, where it’s sold or even what pieces came out in which season. I recently took a friend thrifting at a Goodwill here in San Diego. As it had started really feeling chilly outside, I wanted to focus on thrifting only sweaters during this particular trip. While walking down the sweater aisle, I spotted this beautiful knit sweater and immediately pulled it from the rack. Checking the tag, imagine my surprise when I saw that it was a St John for Neiman Marcus sweater. These sweaters normally retail at $400, but here at Goodwill, I was going to walk away with it for $8.00. Of course, if I didn’t realize who the designer was, I would not have realized just how much of a score this was! I added this thrifted Banana Republic khaki blazer to the outfit for a layered look. I love blazers, and probably 99% of the blazers I own are thrifted. This Banana Republic blazer was thrifted from the Salvation Army here in San Diego for $4.50. Of course, we all know that Banana Republic blazers start at $150. Once again, an easy score here. I went with these vegan leggings that I got last year. These continue to be my absolute favorite tights as you can see that they have made numerous appearances on this blog like here, here and here. I completed the outfit with these thrifted Loeffler Randall polka dot heels. I thrifted these heels at Housing Works in NYC last year for $18, which was a major score as they retailed for $440 at Neiman Marcus. Finally, my pocketbook was also thrifted from Goodwill for $3. I thrifted it because I loved the design on the front, it’s genuine leather and very unique. What has been one of your biggest thrift score? Thank you for a beautiful blog with an interesting theme! Great job. 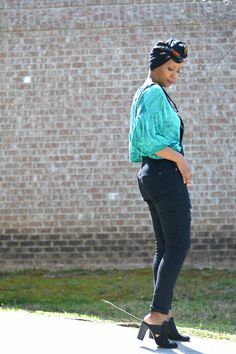 Your’s is the best thrift/fashion blog that I’ve seen.